Every time I walk by an Apple store, I usually drop in to play with the latest version of iPads thinking to myself that I will one day buy one. But I did not feel I absolutely needed it yet. I was comfortable with using an iPhone under mobile environment and a MacBook Air for tasks that usually needed a bigger screen, keyboard or mouse. But at the end of last year, I eventually gave into strong urge that I need to own a device that provides more natural reading experience; so I bought iPad Mini for myself. iPhone and other smartphones were easy to carry around but screens were still too small and MacBook Air lacked many useful tools and the intuitive user experience of touch screen. Since then, I spend enormous amount of time on my iPad instead of other devices to mainly consume information such as reading books, checking emails, the latest news and Facebook. Even with the new device, it is still quite cumbersome to toggle between apps per publisher and digest flood of daily information. That’s why I think the Flipboard’s custom social magazine rack model is quite useful. For those of you who are not familiar with Flipboard, this video explains how the app works. Since the app launched on the iPad in July 2010, the app company has garnered 5 million users by the end of 2011. Apple crowned Flipboard “iPad App of the Year” for 2010. In August 2012, Flipboard announced that its user based quadrupled to 20 million in just eight months since the beginning of the year as it was launching its app on iPhone and six weeks before the launch on Android. Flipboard’s investors include Kleiner Perkins, Index Ventures, Twitter & Square co-founder Jack Dorsey, Facebook co-founder Dustin Moskovitz, SV Angel, Ashton Kutcher and a Who’s Who of other technology investors. They have pumped $60.5 million into Flipboard. Story of Mike McCue, the founder of Flipboard and a serial entrepreneur. The founder of Flipboard, Mike McCue, is one of Silicon Valley’s most renowned serial entrepreneurs. He founded Paper Software, 3D internet software company which he sold to Netscape for $20 million in 1996. He left Netscape to co-found with Angus Davis, Tellme Networks which he sold to Microsoft in 2007 for approximately $800 million. Tellme launched in July 2000 with the ambition of creating a ‘voice browser’ by using voice-recognition software to allow users to find internet-based information through their telephone with simple voice commands. In 2006, Tellme’s phone network processed more than 2 billion unique calls. Tellme established an information number, 1-800-555-TELL, which provided time-of-day announcements, weather forecasts, brief news and sports summaries, business searches, stock market quotations, driving directions, and similar amenities. He then left Microsoft in 2009 and started Flipboard in early 2010. Here is how it all started. McCue did a thought experiment. “What if we accidentally deleted the web and then you had to redo it from scratch?” McCue thought magazines were beautiful, but look at the same article on the web and it is “a shadow of itself.” And the ads are just as bad. Nobody clicks on them because they are ugly. 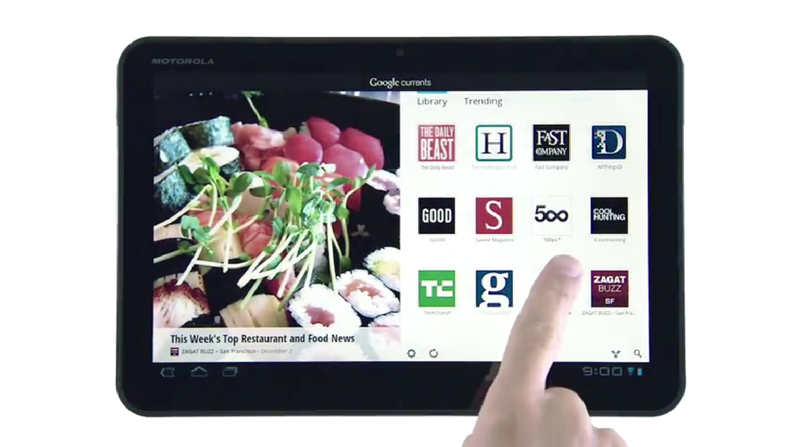 McCue thinks the key is to try to recreate the economics of print on tablets and the Web. One of the advantages to Flipboard is the speed with which it delivers new information from a variety of sources in a much more pleasing format. “It’s almost like an accelerated version of the web,” says McCue. “We strip out the stuff people don’t like about the web”—the blinking ads, the navigation toolbars—and replaces it with better typography and bigger photographs. There are many steps to go, but McCue is betting his company on that future. McCue says in an interview that in his 20 years of being an entrepreneur, principle of start up has not really changed much: successful start ups still have to build a beautifully designed product that people love and follow vision and market opportunity. But the environment has changed dramatically. When he started Flipboard, the cost of servers has decreased significantly compared to the days of his previous start-ups. Explosion of social media now provides much more dynamic environment for start ups. When he first started Tellme, it required much greater up-front investment and preparation. 1) Vision: follow the biggest opportunity one can imagine. It takes roughly the same amount of work to execute either small scale or big scale idea. So might as well go for the one with the biggest upside. 2) Team: surround yourself with the finest team members- do not compromise on quality. In order to draw in the best talent, the business idea first has be very attractive such as “revolutionize publishing” or “create the first social magazine.” So #1 (vision) and #2 (team) go hand-in-hand. 3) Product: this is the most important of all. This encapsulates the vision and shows what the team has achieved so far. He says that the biggest mistakes entrepreneurs should avoid is going after too many revenue models. He advises entrepreneurs not to say, “we can make money seven different ways.” This will water down their efforts. Pick one that has huge market if it becomes successful and focus on that just one model. More importantly, the business model drives everyone in the company’s pay and bonus so it better fit with the vision. Make sure the business model drives the product in the right way that does not introduce friction between product strategy and business development. Flipboard’s beautiful and well-thought-out design has been instrumental to its rapid growth. How is Flipboard changing the conventional banner advertisement model on the web? Business Insider: So the plan is to actually show more of publishers’ content, advertising against it, and then share revenues? Mike McCure: Absolutely, absolutely. We think we can bring a totally new form of advertising to the table that will allow publishers to monetize their content by a factor of ten from what they’re currently doing with banner ads.If you look at web pages today, they basically are battlegrounds between content and ads. The ads are competing for the readers interest, the content’s competing for the readers interest. It’s a terrible experience, especially when you compare it to a magazine. It hurts the publisher. It hurts the advertiser. It hurts the reader. There’s the opportunity to approach this from a design point of view. If we lay out the content in a way that’s paginated, that has a clear separation for advertising and content like what you see in magazines, if you figure out how to deliver all these things faster so you’re not waiting for things to load – you’re not waiting for a page to load because it has all these ads on it – and you follow some of the basic old world magazine designing principles and apply those to Internet content, the advertising business model works. Everybody who reads Vogue wants the one with the ads. But if you asked them the same thing about the website they all say they don’t want the ads. So what that says to me is that this is a design problem. The economics have always been there, and I think they can be there. So I think there’s a tremendous opportunity here. Publishers are excited about it. We’ve captured their imagination and they’re actively working with us now to dial up the content and actually present more of it – faster, cached, paginated, beautifully laid out just like a magazine – to end up actually making 10x the revenue from advertising they are on their websites today. Flipboard’s revenue model is based on sharing advertising dollars with publishers. In digital age, publishers have been losing massive amount of advertising dollars. In 2011, according to Newspaper Association of America statistics, online advertising was up $207 million industry-wide compared to 2010. Print advertising, though, was down $2.1 billion. So the print losses were greater than the digital gains by 10 to 1.1. That was even worse than a 7-to-1 ratio of print losses to digital gains in 2010. This is reminiscent of the similar problem faced by the music industry in the early 2000s. The downward trend has been so drastic that in 2011, the CEOs of the largest newspaper company, Gannett (Craig Dubow), and the industry’s largest private company, MediaNews (William Dean Singleton), stepped aside for health reasons. New York Times CEO Janet Robinson retired under pressure late in the year. Tom Curley, the Associated Press’ president and CEO, announced early in 2012 that he would be retiring, too. In light of commotion in the publishing industry, Flipboard recently signed a partnership with the New York Times. This is the first time for a major newspaper like NYT to release its entire contents outside of its proprietary app. More significantly, it could also be a sign that the NYT‘s philosophical approach toward content in the digital age might be changing for the better. It’s possible that Flipboard deal won’t really produce much in the way of incremental revenue for the Times, at least not in the short term, but at least it will provide one thing: more data on what readers want and when and where they want it. And at some point the newspaper could decide to open up even more of its content to readers through Flipboard and other venues — the way that online-journalism veteran Steve Outing says it should — and take a gamble on ad revenue from that new source as a way of bridging the digital gap newspapers are suffering from. Also, Flipboard has signed partnership with Apple to expands its role in commerce. Flipboard’s Books category, only available for iPad and iPhone users, is packed with books you can buy from the iBookstore. Flipboard tells The Next Web (TNW) that “it’s like browsing a bookstore in Flipboard,” with a strong emphasis on discovery. To be clear, you are not reading these books in Flipboard, only shopping for discovering them. Flipboard’s book listings only include the publisher’s description, link, and cover art, which takes you directly to the iBookstore. This launch comes over a year after Flipboard CEO Mike McCue hinted that “you may be able to flip through a selection of books, movies and TV shows in your Flipboard app soon.” Now, we know at least one piece of that premonition is accurate. The news aggregation category has become a crowded space. Competitors, including Pulse (Sungmoon wrote an article back in 2010!) , Zite and Google Currents, are all vying for the same advertising dollars. Zite was acquired by CNN for just over $20 million in August 2011. The number of users is between 3 to 5 million according to TNW as of August 2011. I expect the competition in the digital-reader app market will become more fierce in 2013. Struggling publishers may start actively sharing its content and expand advertisement channels to these reader apps once they find comfort in these new tools. I have been working as Chinese Economy Columnist at Business Tianjin for the past six years. I have experience in all different areas of a paper-based magazine (with an online viewer): writing, editing, publishing, marketing and distribution. These traditional magazines must quickly adapt to the ground-breaking shift in how the contents are consumed by users. From the Flipboard story, I realized that a successful start-up needs to get a few things right. I also admit it is much easier said than done. Here are my take-aways. I admire McCue’s curiosity and energy to launch Flipboard even after successfully exiting two start ups worth hundreds of millions of dollars. McCue’s track record and vision probably helped Flipboard to raise a large sum of cash early on and recruit the best talent to stay ahead of competition. McCue actually started brainstorming how to redesign the web before the launch of iPad was confirmed. The release and success of iPad provided a perfect environment for him to experiment his idea. Many of VCs and the public’s initial response to iPad was lukewarm. So looking back, betting the 100% of Flipboard’s effort on iPad was extremely risky but rewarding because iPad did take off. The viability of advertisement sharing model has not yet been fully proven to this date and it will take some time. Nevertheless, I am sure Flipboard will find ways to monetize its amazing product. At the end of the day, Flipboard’s content is not proprietary; we can find the exact same information elsewhere. However, what makes Flipboard so unique is in its ability to present vast amount of information in a coherent and aesthetically pleasing way.